In a large bowl or a mixer (with a dough hook) add water, yeast and 1 tbsp of the sugar. Let stand for 10 minutes until the yeast starts to froth. In a medium mixing bowl, whisk together the buttermilk, egg and oil. Add to the yeast mix along with the remainder of the sugar and mix until combined. Pour in 2 and 1/2 cups of the flour and mix, gradually add the rest of the flour whilst mixing. Knead for 5 minutes until dough is no longer sticky. Place in an oiled bowl, cover and let proof for 2 hours. 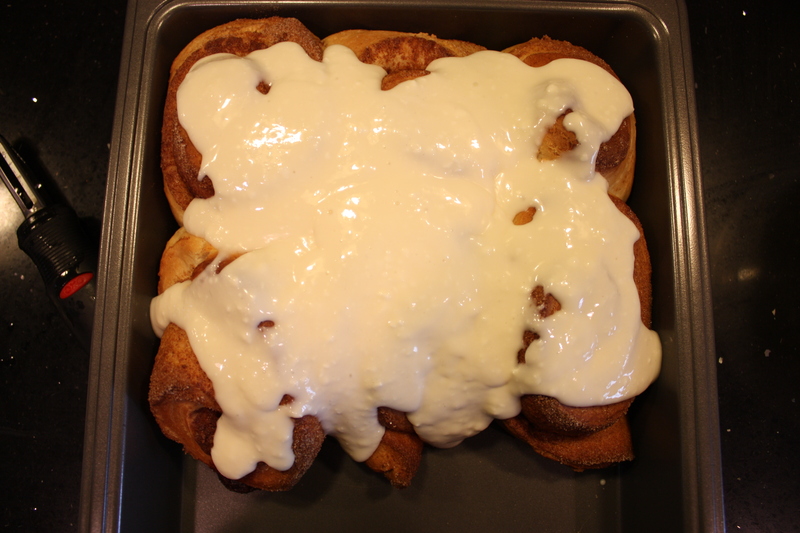 In a small bowl mix together the cream cheese, powdered sugar and vanilla and set aside. 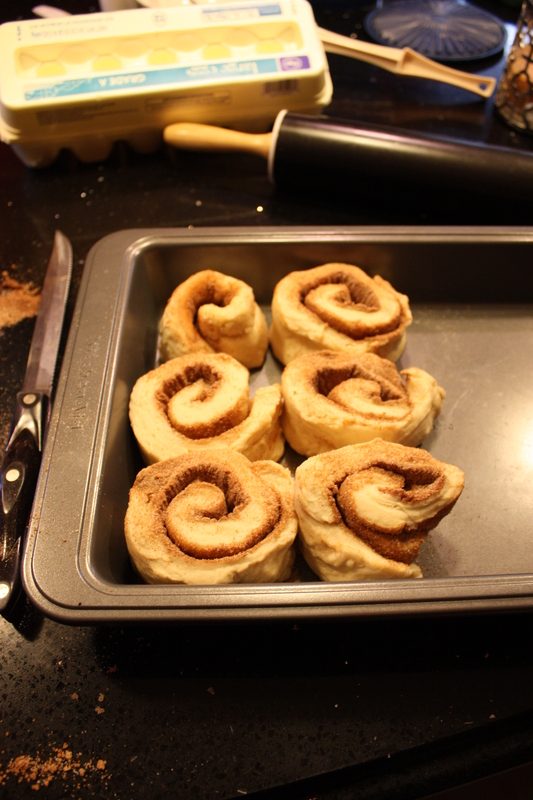 Roll the dough out approximately 17 x 15 in and brush with melted butter, leaving 1 inch around the sides. Sprinkle filling mixture over the butter. Tightly roll the dough from the shorter side and pinch the ends together to stop the filling from spilling out. Score dough every 1.5 inches and slice through. Place buns in a lined brownie ban, wrap in cling wrap and refrigerate overnight and/or up to 16 hours. Remove from fridge and allow buns to proof for 30 minutes. Preheat the oven to 350F degrees and bake for 30 minutes or until golden brown. Allow buns to cool and prepare filling. Whisk together all of the ingredients until smooth and runny. 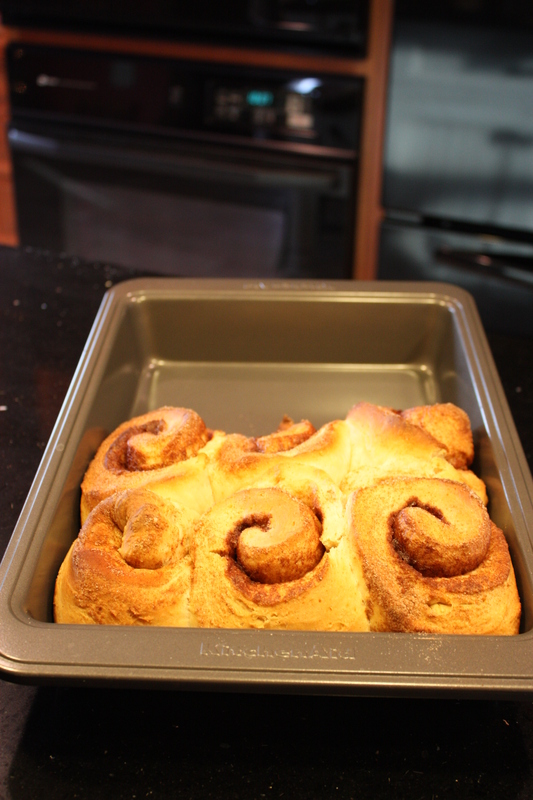 Pour over buns once slightly cooled and enjoy same day or up to 3 days later. 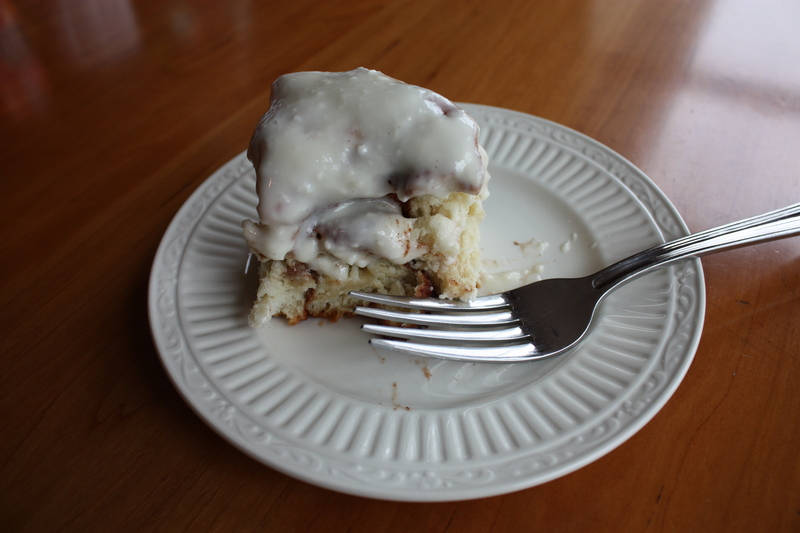 Yum, I love cinnamon rolls! These look delicious!